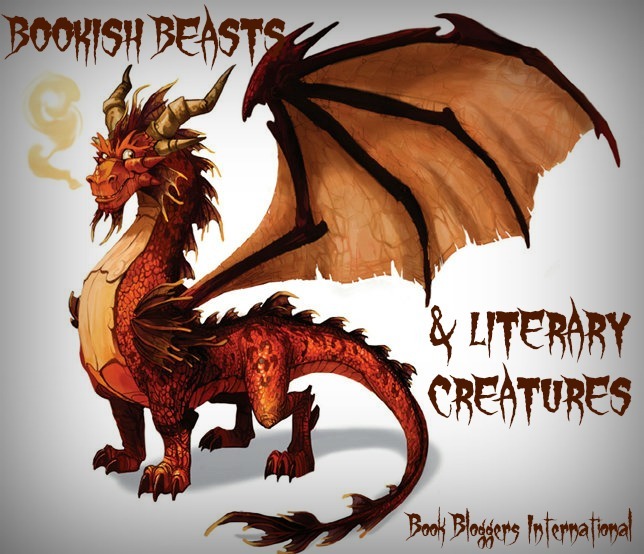 Today, we are taking a bit different turn in our BOOKISH BEASTS feature. Please welcome Dinara Tengri who explores technology as a beast. Technology is not a traditional monster in literature in movies, but it's one of the most popular. Unlike werewolves and vampires, robots and AI are not living things. They're nothing but wires and circuits. And maybe that's what makes them so frightening. They've been created by us, and yet we cannot fully understand them. If you look at the lore, most of the books and movies share the same basic ideas. Either the technology is just evil, and wants to destroy/enslave humanity. Or, we have become too dependent on it and run the risk of becoming helpless and obsolete. 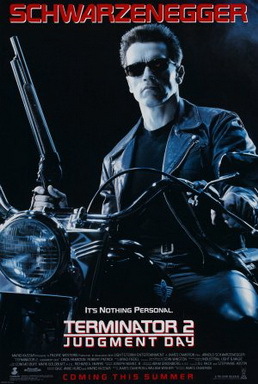 The first scenario is perfectly realised in movies like Terminator and Matrix. Both these movies tell the story of our creation becoming smarter than us and turning against us. 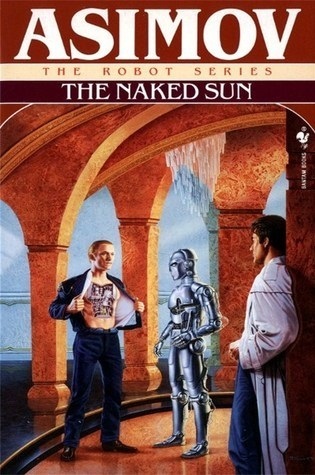 The other scenario is illustrated in Isaac Asimov's Robot novels. The robots in Asimov's books are governed by the Three Laws of Robotics and they can't willingly hurt humans. All they want is to serve and to help us. But the humanity runs the risk of turning into helpless babies with robot nursemaids waiting on our every need. Are there any other reasons we find technology so frightening in science fiction, other than the obvious fear of becoming a slave or a spoiled baby? Take the short story, The Veldt, by Ray Bradbury, for example. Bradbury didn't bad-mouth technology itself, but he often asked the question: what will happen if technology will become such a huge part of our lives that it will be more important to us than our friends and family? The Veldt is about a family that lives in a "smart" house in a not too distant future, and this house does everything for them, like cooking their dinner and tying their shoelaces. But the crowning achievement of this house is the children's Nursery. It's a room that can transform itself according to your wishes and imagination. If you want to play in Alice's Wonderland, the room will read your telepathic signals and create Wonderland, replicating every sight, sound and smell that you're thinking about. If you want to spend a day in the African Veldt, it will give you the Veldt, complete with the hot blazing sun, and the bloodthirsty lions. At first, the parents are happy to give their children this Nursery, because the children are a little psychotic and the parents think it will help them to get more Zen. Pretty soon, though, they get a feeling that something's wrong, because the children only want to play in the Veldt. This goes on for weeks, and the parents start to worry that the kids may be stuck in the same pattern. But it's not just that they don't want to change the Nursery from the Veldt to something else, say a green forest. There is something about that Nursery, something about that Veldt that feels wrong. Something that is unsettling and alarming to the parents. The smells are too strong, the "sun" is too hot, and the lions look way too real. They're just 3D projections, but the way they're looking at you from the distance while munching on some carcass, makes you think that they're actually there, in flesh. The parents even arrange for their friendly neighbourhood psychologist to come and take a look at the Nursery. In the meantime, they decide to lock it off, which enrages the children. That same night, the parents hear a scream, somewhere in the house. A scream that sounds a little too familiar. I won't spoil the rest of the story because it's one of those stories that you must experience for yourself. The Nursery isn't the real monster in this story. But it is a reflection of the children's innermost desires and dreams. A projection of their imagination. The adults - both the parents and the psychologist feel ill at ease in that room, as if there is something sick in the atmosphere, and it's the reflection of how the children really feel on the inside. Are the children stuck in a destructive loop? They get more psychotic and isolated in the Nursery because it gives them everything they need, even replacing their parents. And the more psychotic they get, the more real the Veldt becomes. It's like the Nursery feeds on the kids' negativity. Just like vampires and werewolves, technology is only as scary as we want it to be. And I want it to be really scary. I want it to be a reflection of ourselves. I want the lines between virtual reality and "real" reality blurred. I want the relationship between humans and the machines to be complicated. Lastly, I really recommend listening to the audio version of The Veldt, narrated by none other than Leonard Nimoy. Check it out on Youtube. I listened to it myself to prepare for this article. Technology is the scariest of all beasts. It can get anyone, anywhere, anytime. 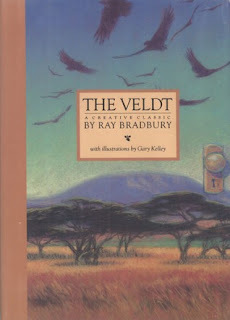 I've only read a handful of Bradbury stuff, but I must now try The Veldt! Though I think I might try the audio a try, I love Nimoy <3 Thanks for the fitting post! I'm glad I could help :) You should definitely listen to Nimoy's rendition. It's perfect. I absolutely adore that you took this theme and headed in an unique direction!! I definitely need to check out these stories, especially the one read by Nimoy. I will be looking for that one for my next audio! I was so happy to dive into this theme myself. Thank you, Tif, for letting me take part :) Robots both scare and fascinate me. Books: Never Leave Home Without Them!